The SK0EN site was originally a PTT link for distribution of 7x140MB/s digital data via Åland to mainland Finland. It was replaced by optic fiber and closed down around 2007 when it was put in hibernation. Sometime between 2007 and 2010 it was stripped of all equipment indor, feeders and antennas outdoor. The site has a techno shelter and a standard Alfa mast. 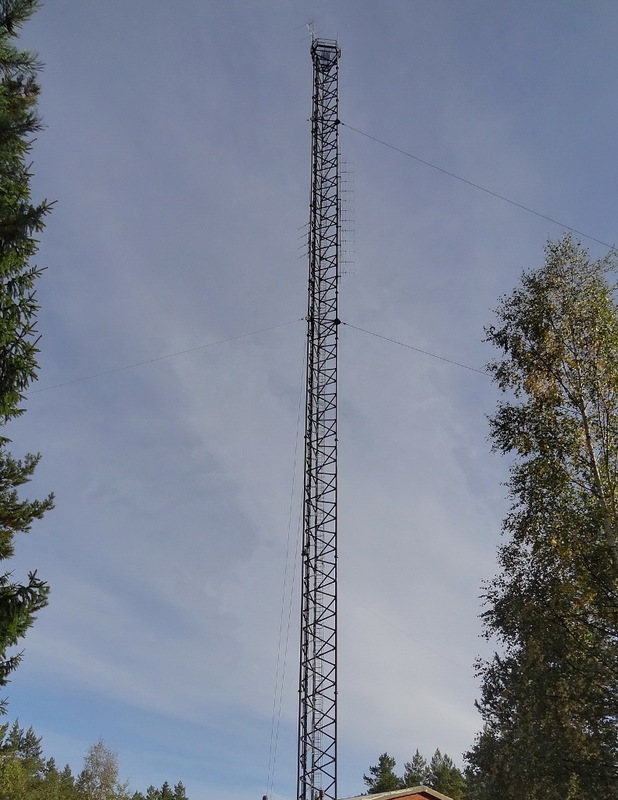 Väddö Radio obtained the site in 2012 and has since use it as contest QTH for frequencies above 50MHz. The mast has been fitted with antennas for 50, 144, 432 and 1296 MHz. (Picture from 2013). More antennas are added since then.